Why do we say Astaghfirullah when offended or annoyed? Muslim Villa > Forum > Category 6 > VARIOUS ISLAMIC ISSUES > Religious - > Why do we say Astaghfirullah when offended or annoyed? Astaghfirullah is something we can repeat as often as we like each day. Particularly after offering our daily salah or nafl salah would be a good time for seeking the forgiveness of Allah. The more the better for our souls. 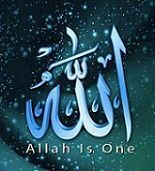 What confuses me is that I see many Muslims who may hardly mention "Astaghfirullah" but if they encounter something offensive or objectionable or disagreeable, they at once mention "Astaghfirullah." Like I said, seeking forgiveness from Allah can be done any time and over any situation. My question however is that in a situation such as this, of disagreement or objection, isn't it more suitable to say Auzubillah or Nauzubillah? Re: Why do we tend to say Astaghfirullah only when offended or annoyed? Well yes, you're right brother. At times like these the obvious thing to say is Auzubillahi or Nauzubillahi. But when people say 'Astaghfirullah' I think the connotation is to beg forgiveness of Allah of our sins and consequently to accept us in His protection. Therefore in my opinion, the use of Astaghfirullah in such situations carries an indirect echo or is indirectly referred to acquiring the protection of Allah. In other words, it alludes to imploring Allah for His guidance and henceforth His forgiveness; and Allah protects those whom He forgives and guides. This is my opinion. (I seek the forgiveness of Allah, my Rab, from every sin and I return to Him). The concept is apparently seeking to come close to Allah (for His guidance and protection) by first seeking His forgiveness. Right Sis. Sounds spot-on to a question that had been on my mind too. Many thanks Sister Zeynab. That was very helpful. Both Auzubillah and Nauzobillah are expressions for seeking refuge or shelter in Allah from sinful people, sinful actions and sinful thoughts. Would anyone know the precise difference between Auzubillah and Nauzubillah?